This weekend is a very special time for me and my family. The youngest child is getting married. We are excited to welcome another fabulous young woman into our family which currently includes two other children, a wonderful son-in-law and daughter-in-law, and two exceptional grandchildren. As our son and future daughter-in-law embark on this new adventure as husband and wife, I covet for them the happiness and fulfillment that I have found with my wife of over forty-six years. Next to Jesus, my wife is the best thing that ever happened to me and I trust that it will be the same for them. 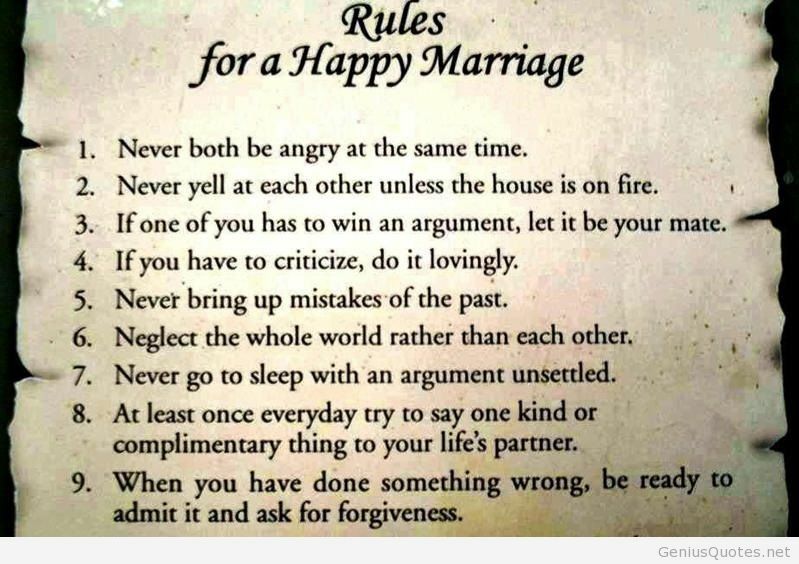 I don’t profess to be an expert on marriage but experience and the wisdom of others has taught me a few things about living and loving. 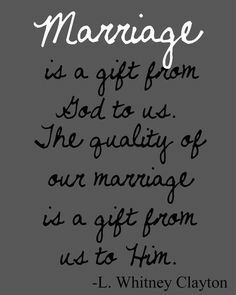 One of the most important principles of marital success is to realize that marriage is not a 50/50 proposition. The traditional wedding ceremony speaks of “two becoming one.” One might assume that means each partner gives 50% and together that makes a whole and healthy marriage. 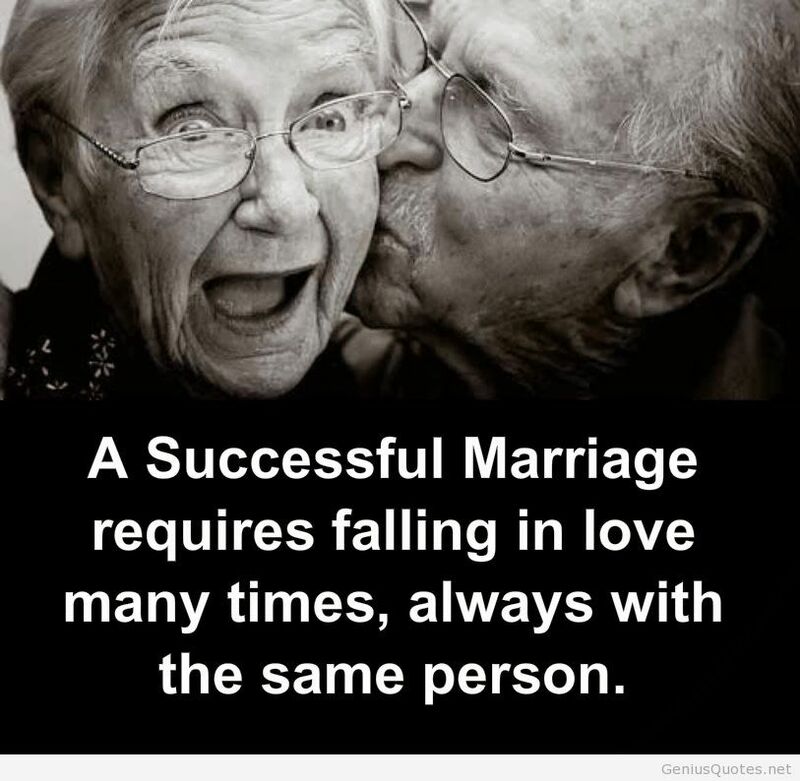 But marriage is not about mathematics. 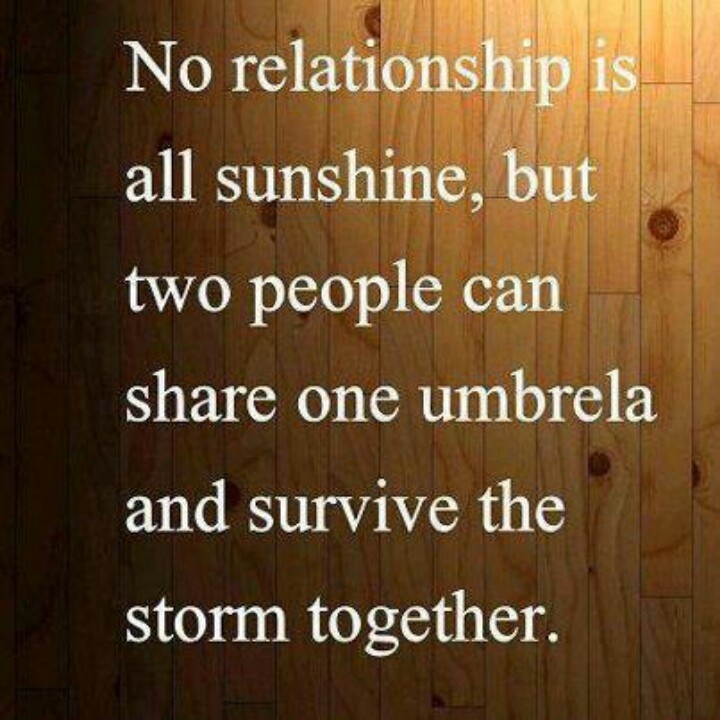 It is only when each partner gives 100% that fulfillment and completeness as a couple is realized. Love that brings two people to the place where they want to commit themselves to each other forever is powerful. But staying in love requires the ability to be adaptable and the willingness to sacrifice. Love is patient, love is kind, it isn’t jealous, it doesn’t brag, it isn’t arrogant, it isn’t rude, it doesn’t seek its own advantage, it isn’t irritable, it doesn’t keep a record of complaints, it isn’t happy with injustice, but it is happy with the truth. Love puts up with all things, trusts in all things, hopes for all things, endures all things. Love never gives up. That is good counsel not only to Jonas and Natalia but to people everywhere. Just to like something and even to get some satisfaction from it does not equate into passion. But when an activity, person, or thing elicits intense emotions or strong feelings from you, it may be appropriate to say you feel passionate for it. Felling passionate can be a good thing but passion alone will not lead to the desired results. Discipline is the bridge between desire and fulfillment. 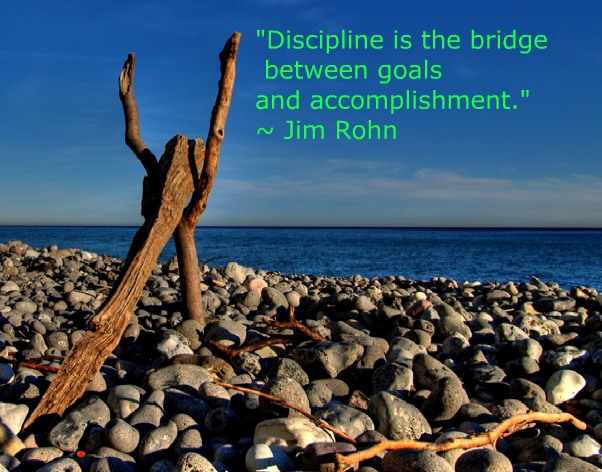 Discipline- an activity, exercise, or regimen- is necessary to move from goals to accomplishment. Desire and discipline go hand in hand. Dr. Sherwood Elliot Wirt was a long time associate of Billy Graham and the founding editor of the evangelist’s Decision Magazine. Before his death in 2001 at the age of 97, he wrote more than 40 books and had a tremendous impact on the lives and careers of multitudes of writers. One element of Dr. Wirt’s response was that you have to do more that want to do something. You actually have to do it. That takes a certain amount of discipline and if you want to succeed at any task you have to work at it. Near the end of his life Jesus had a conversation with his closest friends. He cautioned them that being his disciple would be difficult and could be costly. When excuses were given for not following him at the moment, he replied, “No one who puts his hand to the plow and looks back” was ready to follow him. In other words, there is a price to pay for anything that is important. Discipline and sacrifice are required. Lord help us to discipline ourselves so we can complete the tasks and achieve the goals that are good for us and for all humanity. 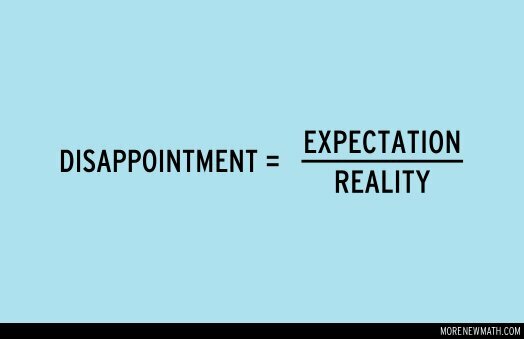 Everyone has experienced disappointment. You order that special dessert at your favorite restaurant and the waiter tells you they do not have any more. You buy a ticket for a much hyped blockbuster movie but when the credits roll at the end you wonder why it was so highly acclaimed. Or your team makes it to the finals but lose big in the championship game. 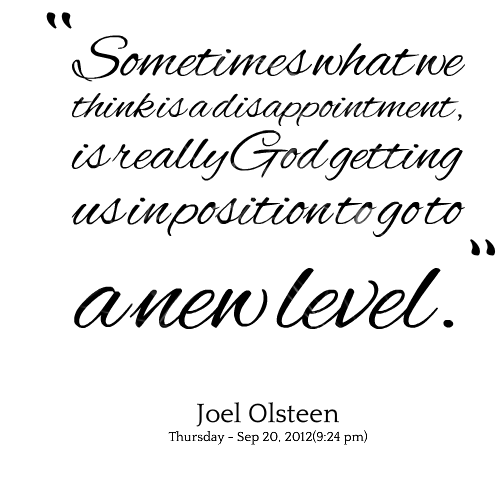 Alexander Pope said, “Blessed is he who expects nothing, for he shall never be disappointed.” However, the reality is that life has a way of presenting you with “the feeling of sadness or displeasure caused by the nonfulfillment of one’s hopes or expectations.” There are many occasions when our expectations are not met and we feel let down. But have you ever been really disappointed? Major League Baseball’s regular season began last Monday. Spring training had ended and teams had settled on their 25 player opening day rosters. Then overnight things changed for our hometown Atlanta Braves. On Sunday night the Braves surprised everybody by trading away Craig Kimbrel, one of the most highly regarded pitchers in the game, along with Melvin Upton, Jr., a player that had failed to live up to expectations and was still owed $48 million. In return for Kimbrel and Upton, the Braves got two outfielders, Cameron Maybin and Carlos Quinten, and a couple of other prospects. 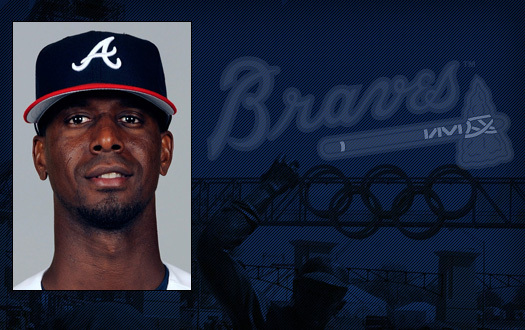 Maybin was told to catch a flight from San Diego to be on hand for the Braves season opener in Miami on Monday. Quinten was told that was necessary for him. Have you ever had that level of disappointment? It is speculated that the Braves will probably just pay him the $8 salary but have no intention of playing him. I suppose that would help to offset the disappointment. But there is another wrinkle to this situation. On Sunday night Braves coach Fredi Gonzales called Pedro Ciriano into his office to tell him he had made the opening day big league roster “unless something crazy happens”. Ciriano has been around professional baseball for several years but has spent almost all of that time in the minor leagues. When Gonzales gave him the good news, he wept tears of joy. Last week was Holy Week in the Christian Church. One of the stories that we remember during those eventful few days is the sad account of Judas’ betrayal of Jesus and his subsequent suicide. The sequel to that story is told in the first chapter of the Book of the Acts in the Bible. The 11 remaining inner circle of Jesus’ followers selected a successor to Judas. They narrowed the field to two, Matthias and Justus, and then selected Matthias. I imagine Justus was very disappointed to miss out on this wonderful opportunity to be on the “inside” with these men who would make such a difference in the world. 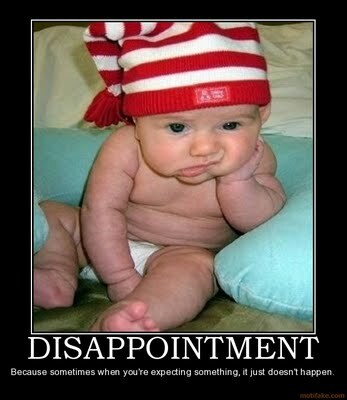 Someone has said that disappointments are often God’s appointments. Lord, help us to learn from the times that our expectations are not met and grow stronger because of them. I have just returned from a trip to Israel. It is not my first time to visit the place that is, for a third of humanity, literally holy land. Israel is the crossroads for three great religions. Consequently the Holy Land has been coveted and fought over for centuries. Since that conversation 34 years ago I have heard the same thing each of the more than two dozen times I have made the pilgrimage to the land of the Bible. I am sure I will hear the same thing next year when I return. But I have never felt uncomfortable or at risk and hundreds (maybe thousands) of others have told me the same. To be sure there is tension in the Middle East, not just in Israel, but many thousands of people visit the Holy Land (Israel, Jordan, Egypt) every year. While you hear a lot from the news media about violence in Israel, you never hear of tourists being the target. One of my fellow travelers from the most recent visit to Israel said, ” Everything we did brought me back to my strong Christian heritage and upbringing and has rekindled fires within me that, over the years, had dwindled somewhat.” Another called it “a trip of a lifetime.” Comments like these cause me to want to return to the Holy Land and take others with me. Today is Holy Thursday, observed by Christians on the fifth day of the week leading up to Easter. It commemorates the Last Supper of Jesus Christ and his disciples. Tomorrow is Good Friday when we remember the death of Jesus who we call the Messiah. Then on Sunday Christians all over the world will celebrate the victory of life over death as we remember the Resurrection of Jesus. One of those who just returned from the Holy Land said, “Easter will be even more incredible after our experience.” Yes, it will!